Designer Cleaning Cloths for your favorite electronic gadgets! Even without a phobia against germs, you may feel just like Todd of Toddy Gear about dirty touchscreen devices such as iPhones, iPads, Blackberries and Android devices. 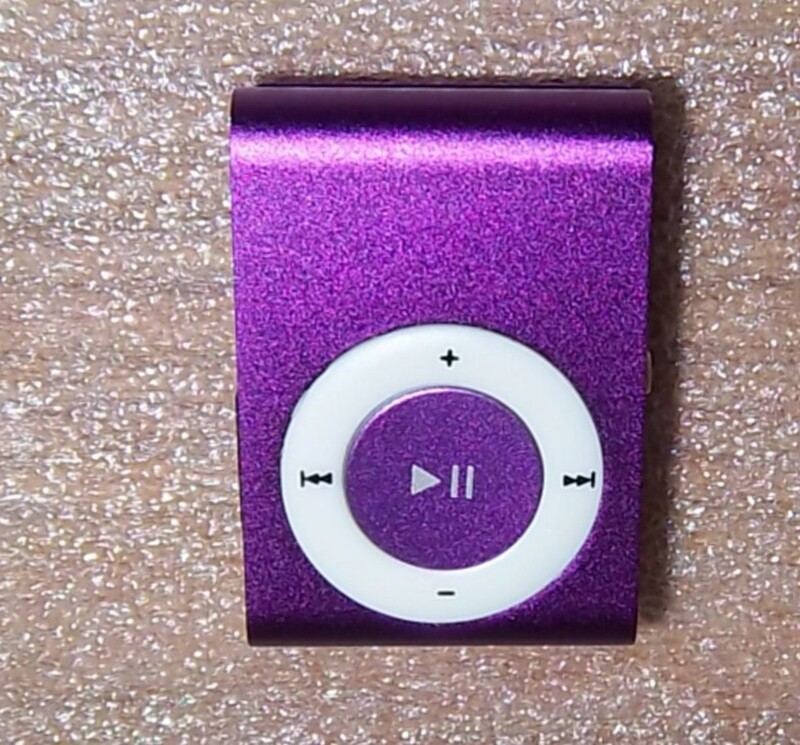 Their smudged surfaces look really bad – especially when turned off - and you can only imagine what might be lurking there. With the knowledge that paper towels, starched cotton napkins, hankies and even shirt tails could scratch a Touchscreen he knew there had to be a better way to clean them. He set out to find that better way and came up with the Toddy. 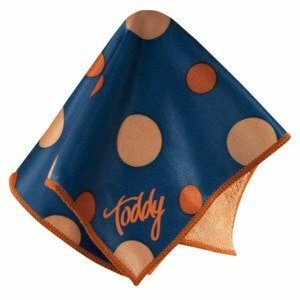 The Toddy is a double-sided Microfiber antibacterial cloth with AEGIS Microbe Shield that is as gorgeous as it is effective. You may ask how a cell phone screen can harbor more germs than a toilet seat as was recently reported by the media. Considering how germs grow in warm places and spread through touch it is not surprising. Cell phones provide a warm environment that in turn provides a breeding ground for germs and bacteria. The phones are warm, your hands are warm and most places that you keep them are warm. 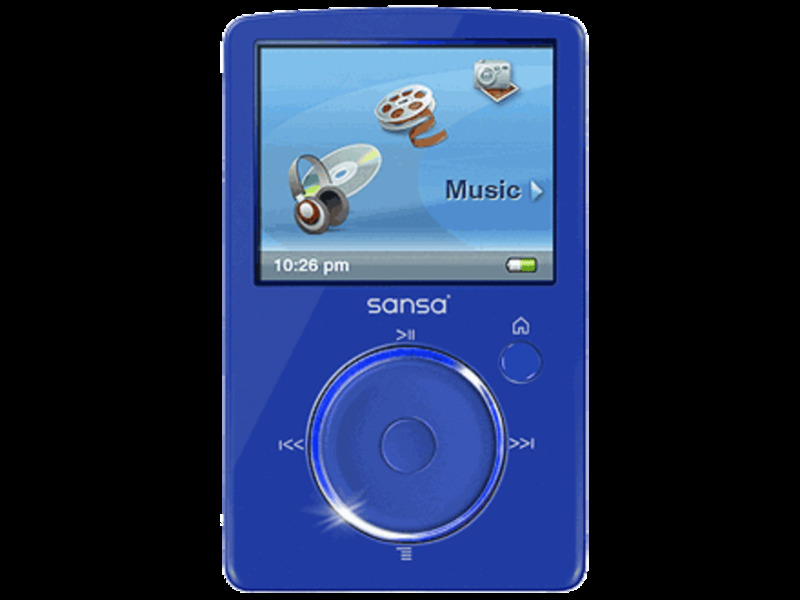 In addition cell phones are often passed from person to person and each time new germs are deposited. The iPad is no different. Everyone wants to get their hands on them and in the process germs as sinister as Staph and Meningitis may be spread. Skin rashes can develop without the knowledge of where they came from. The Toddy makes it possible for us to keep our Touchscreens clean and free of germs in style. There are multiple colors and designs – I think that some look good enough to wear as a suit-pocket hankie. You won’t mind if your Toddy peaks out of your bag. One side is a solid color plush microfiber that wipes the Touchscreen clean and the other side is a silky designer surface that polishes the Touchscreen like a mirror. Both sides have an antibacterial coating that cleans the germs away as well. There is no need for water or other cleaning products - the Toddy absorbs dust and oils and does not spread them around the varous surfaces. Toddy Gear is divided into designer collections such as the Chic E Boutiquee Collection, the Miss Behave Collection, the Haute Toddy Collection and the Opening Bell Collection. 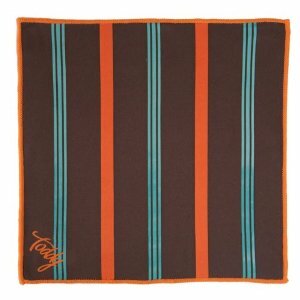 The Toddy Gear microfiber cloths are truly different from any microfiber cloths you have seen before. The colors range from a subdued aqua to a brilliant hot pink. The designs range from Peace Signs to Argyle, from nature scenes to businessmen stripes and some of the more quirky designs include skull and cross bones to polka dots. All edges are finished in a either a coordinating or a contrasting color. Toddy Gear requires a one-time investment. However, the cost is reasonable enough to have more than one since making a single decision may be impossible. There is a Toddy Gear to please everyone you know regardless of their personal tastes and style. 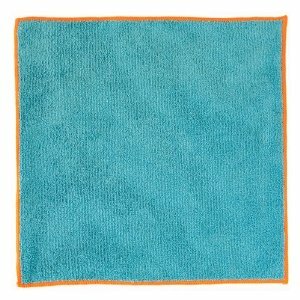 Each Toddy Gear microfiber cloth is machine washable in cold water and can be tumble dried on low heat. Use them over and over and get the same great results. I was first introduced to Toddy Gear at the 2011 CES. I was amazed at how quickly a smudged finger-print covered iPad could be cleaned. Now I search for shiny surfaces to clean with my Toddy Gear. My iPhone, iPad, laptop and television have never looked better with less effort than ever before.